Boomtown Bayeza provides a specialised internship for graduates in the advertising industry. The internship is paid for and runs for a full year. The Boomtown Bayeza 2018 internship programme achieved a 100% employment rate. Now in its seventh year, Boomtown is looking to take on five graduates to expose them to the advertising sector and mould them into employable advertising professionals who can break boundaries. 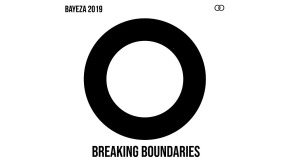 Bayeza started in 2012 with one graphic design intern, Pola Maneli, who has gone on to win two gold Loeries and went on to work for a renowned advertising agency in South Africa. According to Boomtown, since then, talent has continually filtered through Bayeza and risen through the Boomtown ranks or taken up employment elsewhere in the industry. The Boomtown Bayeza internship programme is looking for graduates who have studied fields relating to the advertising industry to work in various agency departments namely creative, client services and strategy. Rather than running an internship programme where individuals are seen as junior staff, Boomtown runs a specific year-long programme with each intern having month-by-month modules specific to their area of expertise and study. “In this way, we fast track the interns, and they learn more in one year than most junior employees learn in two," says Boomtown MD, Andrew MacKenzie. This specific training also makes the interns sought-after from an employment perspective and Boomtown says it is tremendously proud that, to date, it has achieved a 100% success rate in employment once the interns graduate from Bayeza. For more information visit, www.boomtown.agency. You can also follow Boomtown on Facebook, Twitter or on Instagram.